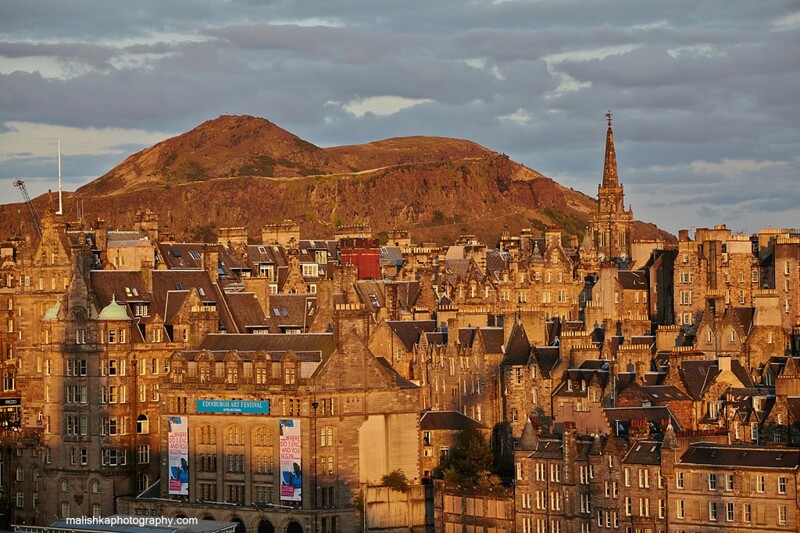 I have lived in Edinburgh for quite a while now. Really a big fan of the city, its location and its beauty. 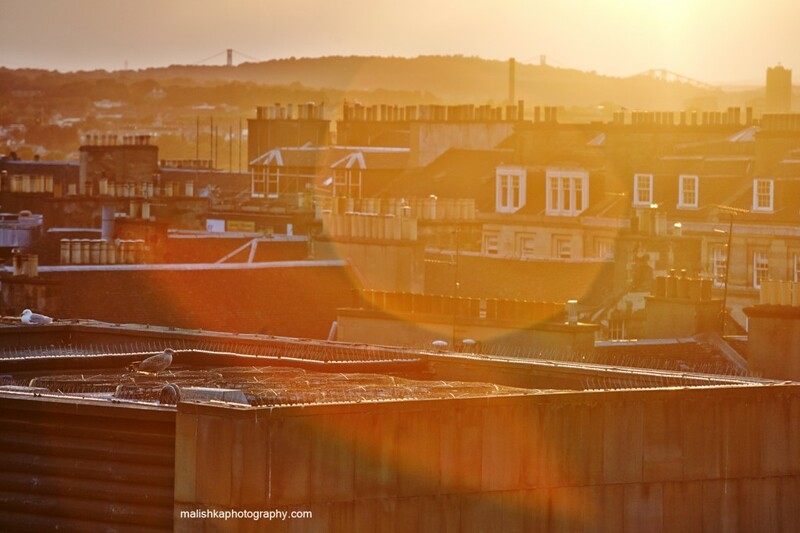 Just recently I have had the opportunity of getting up on one of the hotel roofs in Princes Street. What a view! Firstly, what a perfect evening it was! No rain, nice sunset, just slightly windy, a dream come true for taking some photographs of the city centre from the unusual point of view! Since the big wheel showed up back in the city, I wanted that wheel in the photo. I also wanted to show it moving with the nice background of Edinburgh. It was a really good view! Not been on that wheel myself yet. 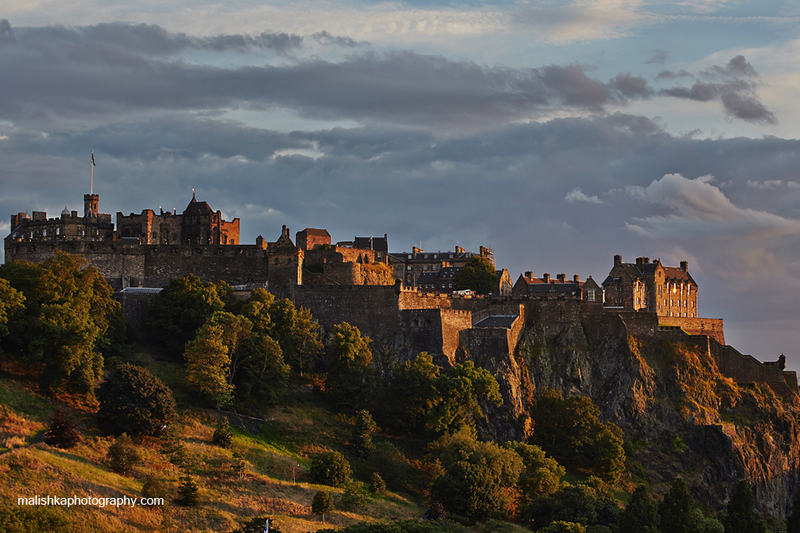 Once we got onto the roof, the sun started setting down and the golden light fell on the Old Town's buildings and Edinburgh Castle. The shots I am posting here are my favorites. 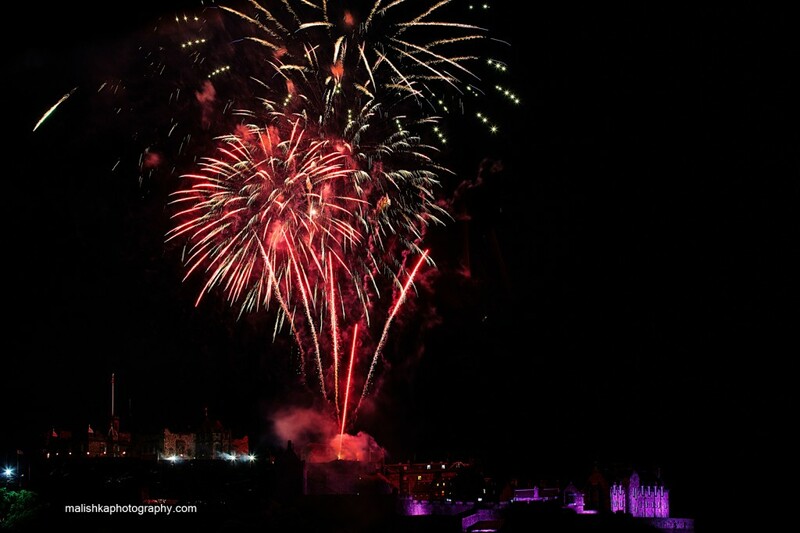 The Military Tattoo is performing during the Fringe Festival, so I managed to capture some fireworks over the castle. It looks interesting, the Edinburgh Castle at night with all these colours.